1. A Massacre of Christians, Terror bombings kill hundreds on Easter Sunday in Sri Lanka. The Easter Sunday slaughter of Christians in Sri Lanka is a jolting reminder that killers motivated by religious animus continue to be a threat to innocents around the world. Large-scale terror attacks outside the Middle East have been fewer in recent months, but that is due more to the West’s efforts at pre-emption than to any lack of murderous intent. World leaders are denouncing the attack on “humanity,” but make no mistake: This was an attack on Christians. The killers didn’t pick any random Sunday. The bombs went off at places of worship during services on the holiest day of the Christian calendar. There is a natural tendency toward complacency in human affairs after a period without a major terror attack, until we get a reminder like Sunday’s in Sri Lanka of the costs of inattention. The threat will be with us for many decades and demands constant watch. 2. Socialism vs. ‘the Person’. This week Roman Catholics mark the octave of Easter, a time when the glory of the Resurrection fills believers with anticipation of good things to come—if not in this life then in the next. But hope is hard to come by in Catholic Venezuela these days. The nation is racked by despair as it faces privation so extreme that families eat garbage from dumpsters. Millions have fled, often with only what they can carry. Venezuela was once the richest country in South America. Now it’s a place of malnourished children, starving adults and pullulating disease. Yet its corrupt and cruel military dictatorship clings to power. Venezuela’s intelligentsia spent much of the 20th century inculcating the population with socialist pap. If you’re not sure what that means, listen to Sen. Bernie Sanders and Rep. Alexandria Ocasio-Cortez. They spout the same nonsense. Intellectuals, educators and politicians promised that sticking it to the rich was the path to socialist paradise. As government intervention in the economy—particularly through price and exchange controls—damaged living standards, Venezuelans voted for more of it. Little did they know that by targeting the rights of successful entrepreneurs in the name of social justice, they were setting up the country to fail. Venezuelan socialism fomented envy and deep distrust of business. This destroyed respect for persons who dared to be creative and build wealth. 3. Local Churches Adapt to Surge of Chinese Converts. Across the country each year, more than 30,000 people officially join the Catholic Church on Easter Eve — a tradition that dates back to the early days of the church — by participating in the sacraments of initiation: baptism, holy communion and confirmation. Of the 500 or so converting in New York this weekend, about a third are Chinese immigrants, some of whom are seeking asylum based on religious persecution in China. Most of the Chinese immigrants live in Brooklyn and Queens, and they are having a transformative effect on local Catholic churches. 4. Pope denounces ‘cruel violence’ of Sri Lanka Easter attack. Francis skipped his homily during Easter Mass but delivered his traditional “Urbi et Orbi” (To the city and the world) speech highlighting conflicts in the Mideast, Africa and the Americas and demanding that political leaders put aside their differences and work for peace. 5. Easter attacks on churches in Sri Lanka are tragic, but hardly surprising. Sadly enough, there’s now an ugly and utterly predictable dynamic on Easter Sunday: Somewhere in the world, full churches will be attacked and some number of Christians will die for no other reason than that they chose to attend services to celebrate what is supposed to be the faith’s great celebration of life. Today, it happened in Sri Lanka, where, as of this writing, at least 138 people have been killed and more than 560 injured after coordinated bomb blasts hit a number of high-end hotels and churches across the country. 6. Remembering Father James V. Schall, an Old-School Jesuit. The most distinguished son of Pocahontas, Iowa, Father James V. Schall, S.J., died at age 91 on April 17, just as Lent 2019 was drawing to a close and Easter was visible on the horizon. Father Schall was what’s usually referred to as an “old-school Jesuit” — meaning (to my mind) that he was the kind of Jesuit St. Ignatius Loyola imagined when he founded the Society of Jesus in the 16th century. Jim Schall was both a man of rock-solid Catholic faith and a first-rate intellectual, a distinguished political philosopher at home with political theory from Plato through the moderns. His faith informed his intellectual work, as his intellect refined his faith. He was an exceptionally gifted teacher; before he was put out to pasture by Jesuit superiors who didn’t seem to grasp what a magnet he was for the students they ought to be recruiting, his last lecture at Georgetown University was attended by hundreds, who spilled out of venerable Gaston Hall into the surrounding corridors. He was a devoted priest, a masterful spiritual director, and a counselor who encouraged his students to think vocationally, whether about the priesthood or consecrated religious life, marriage, or their professional careers. These are tough days for Catholic priests, whose reputation as a group is being damaged by revelations of the perfidy of some 4 percent of their number. From his present station in the Communion of Saints, I am confident that my friend Father Jim Schall, a priest to the core whose priesthood was indeed an icon of the eternal priesthood of Jesus Christ, is interceding for priests, for the reform of the Church, and for the reform of the Society of which he was an exemplary, if too often unappreciated, member. Thank you, Jim, for being a true man for others. Thank you for your tireless example of priestly holiness and intellectual integrity. Requiescat in pace. 7. Faithful Observe Good Friday Outside Notre Dame. Hundreds of people gathered for a Good Friday observance held near Notre Dame Cathedral, just days after a massive fire destroyed most of the building’s roof and left several large holes in its vaulted ceiling. While work continued Friday to stabilize the limestone structure, Michel Aupetit, archbishop of Paris, led a procession of the Stations of the Cross on the riverfront of Ile Saint Louis, an island in the River Seine. Notre Dame’s Gothic towers and damaged nave loomed in the background. 8. Rebuilding Notre Dame Cathedral. Officials in Paris began inspecting the damage to Notre Dame Cathedral on Tuesday, the day after the fire. They declared the cathedral structurally sound while identifying “some vulnerabilities,” according to French Deputy Interior Minister Laurent Nunez. Specifically, the vault and gable of the north transept were of concern. Inspectors are also worried about structural damage that could be hidden. 9. Good Friday without Notre Dame, Days after cathedral burned, Good Friday observances proceed. A procession of clergy dressed in white carried a simple black cross through the streets of Île St. Louis on Friday, continuing a Good Friday ritual even while the charred hulk of Notre Dame Cathedral loomed behind them. Thousands of Parisians and visitors gathered for the “stations of the cross” devotion, a symbolic reenactment of Christ’s passion that commemorates the trajectory from his sentencing to his burial in 14 stops. 10. Pope during Easter vigil: reject the ‘glitter of wealth’. 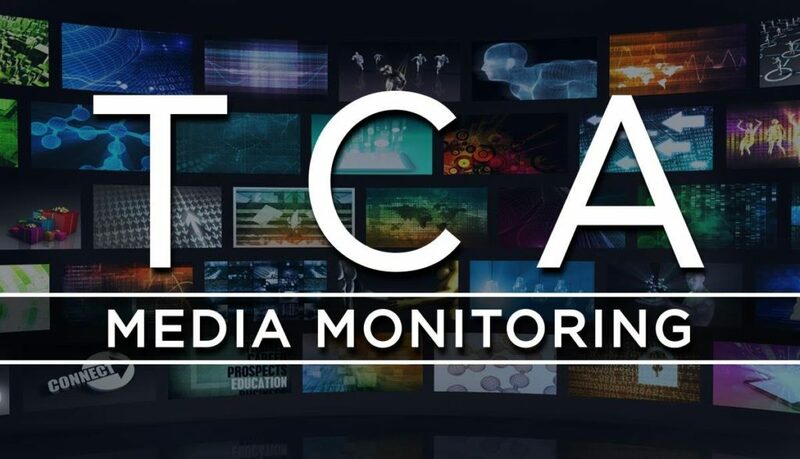 The media monitoring clips provide a snapshot from national newspapers and major Catholic press outlets of coverage regarding significant Catholic Church news and current issues with which the Catholic Church is traditionally or prominently engaged - such as religious liberty and other fundamental Church concerns. The clips are not intended to be an exhausted source of in-depth coverage on any particular issue. The opinions and views expressed in the articles do not necessarily reflect the views of The Catholic Association.